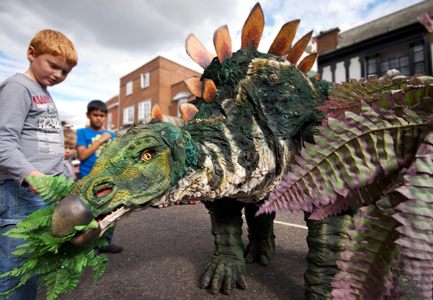 Tiny the stegosaurus is a palaeontological marvel beautifully realised by our team of special effects artists and puppeteers. 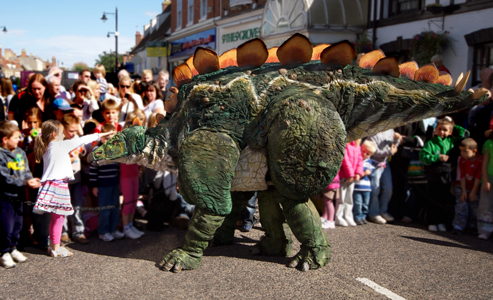 Controlled from within by a concealed performer, our trademark combination of live sound, facial animatronics and extreme puppetry bring our dinosaur to life - she is expressive, interactive and full of character and charm. The dinosaur is accompanied by our resident palaeontologist who presents a lively and informative natural history show. 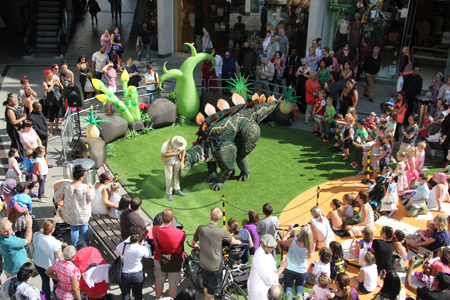 Audiences are encouraged to ‘get tactile’ with the dinosaur and to have a go at being palaeontologists themselves.